If your theme is not responsive, then there are a number of Mobile WordPress plugins that will show a mobile version of your WordPress website to the mobile traffic. Google has announced that if your blog is not mobile friendly then it will significantly impact on the search rankings. Mobile friendly websites will be given ranking preference over those that are not. Results showed that 1.2 billion people are accessing the web from mobile devices. An incredible 80% of all internet users are using a smartphone. So no one is going to open laptop or desktop to visit your website. Am I right? If you don’t want to see the major drop in your rankings and traffic of your WordPress website then you must activate Mobile WordPress plugins to your website asap! Check out the list of 7+ Best Mobile WordPress Plugins for the mobile-optimization of your business. This plugin is an astonishing mobile toolkit for your WordPress website that allows management of mobile-specific content and URLs. Mobile Smart Pro makes sure to present the same content or information to your visitors as presented to the search engine crawlers. It works according to the guidelines of Google Webmasters and Google Indexing to prevent SEO cloaking. This exclusive feature of Mobile Smart Pro allows maintaining same WordPress website and different domain for desktop and mobile. Mobile Smart Pro is attuned to page plugins such as Visual Composer and Divi. These page builder tools only display on the main editor rather than the mobile editor for the Mobile Pages functionality. 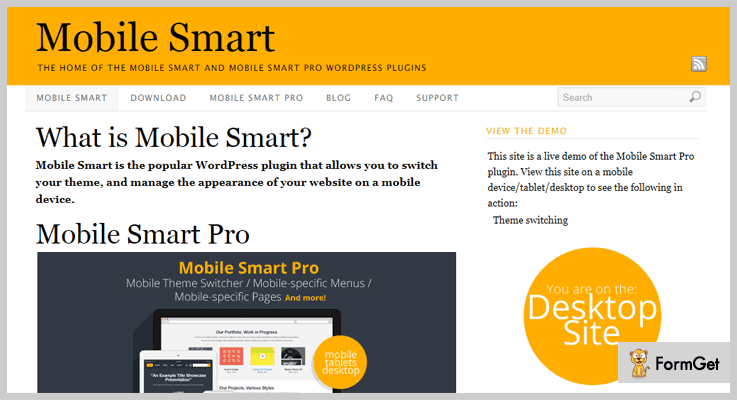 Mobile Smart Pro is tested with WP Rocket, WP Total Cache, and WP Super Cache. 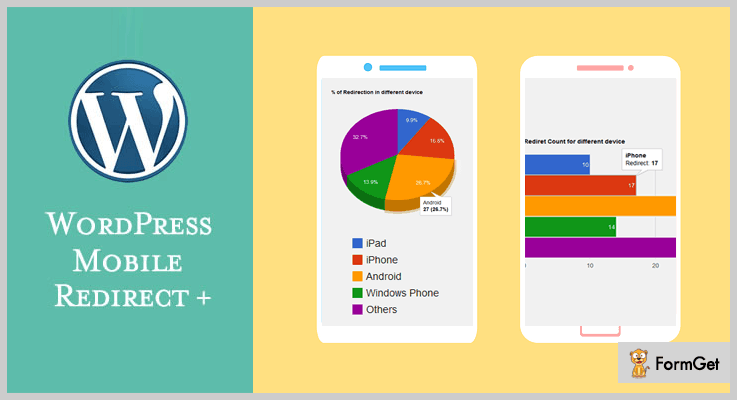 You can control the mobile caching with these caching plugins of WordPress. You can buy Mobile Smart Pro at $17. This plugin can detect the mobile devices that are visiting your WordPress website. It can also redirect all the devices (mobile, laptop) to the mobile-optimized URL. RedirectPlus provides the ability to choose whether or not to redirect tablets by enabling/disabling the check-box option. You can redirect your full website or a specific page from the backend panel. RedirectPlus can specify the redirect URLs for particular devices. At the backend panel, you can keep track of the redirect numbers of different devices. RedirectPlus has the cost of $15. This Woocommerce Plugin helps to detect when visitants come to your WordPress website from their mobiles. 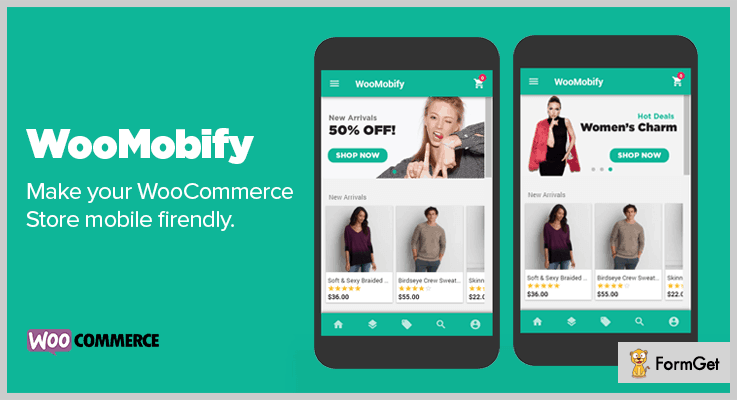 Woomobify converts your existing Woocommerce mobile theme to the extremely optimized and converting mobile theme. After installing this plugin, the desktop and laptop visitors still get the outlook of your existing Woocommerce theme. Meticulously optimized mobile theme and tested on Android, IOS and Window Mobile Devices. Woomobify is up and running within minutes having easy to use interface. Low one-time price and lifetime updates. You can make your WordPress website go mobile with just a couple of clicks with this premium Mobile WordPress plugin. 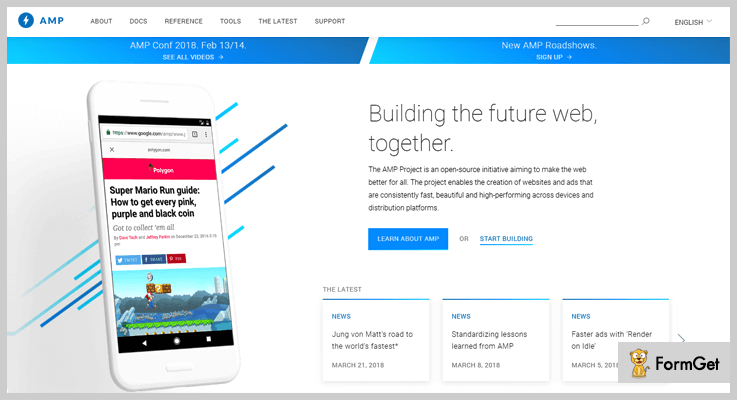 WP AMP is designed to support Accelerated Mobile Pages (AMP), it works well with WooCommerce plugin and allows you to showcase your products on your AMP website. With WP AMP, you can integrate AdSense into your AMP website and choose where to position your ad block. You can earn money from Adsense whenever visitors click on your add. It boosts up the ability to enable, disable, modify and rearrange AMP blocks using built-in drag-and-drop page builder. Works well with all posts/pages, archives, blog/search page, 404 page and WooCommerce pages. This premium plugin has a costing of $99. 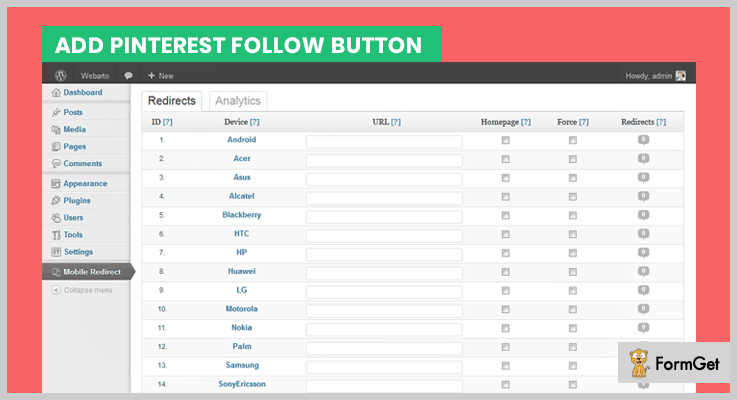 This plugin redirects your website visitors to the mentioned URL by detecting the devices used by them. It provides a counter on the right of every device name that can track the number of redirected visitors of that device type. You can easily customize the URL at which you want to redirect your visitors and can also specify the types of devices that have to be redirected to them. You can allow the users to view the desktop site from their mobile devices by linking the mobile site to the desktop site. Note: This plugin is unable to redirect the specific page on two different URLs. For example: If your website is accessed by the android user then you can’t redirect him to android store. Similarly, if it is accessed by the iphone user then you can’t redirect him to the apple store for the same website. This small and beautiful plugin has the simple pricing of $10. 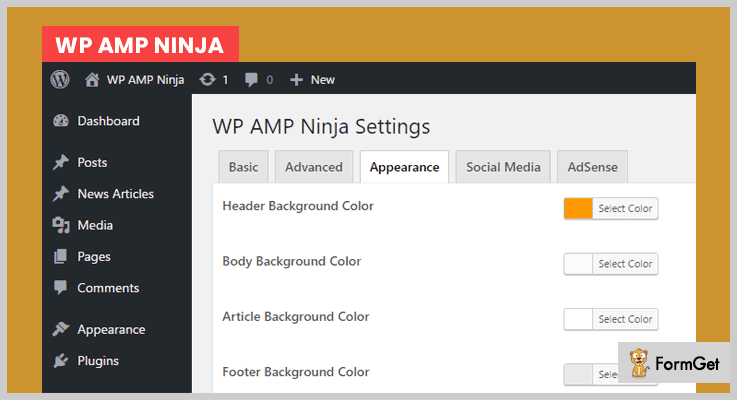 WP AMP Ninja makes your WordPress website AMP-compliant in just one click. It is designed to improve the mobile content ecosystem for developers, users, publishers and consumer platforms. Sometimes errors and warnings for AMP validation generates due to validation issues with the current theme/plugin. This plugin can resolve all the Google Search Console AMP errors. You can track AMP pages by using your Google Analytics tracking ID. You can brand the AMP pages of your website by using your website logo. It has a pricing of $29. 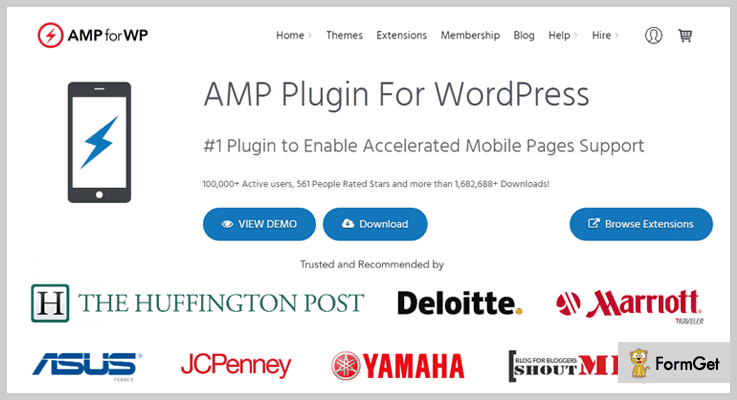 AMP for WP is the #1 Accelerated Mobile Pages Support for the WordPress website. It has 100,000+ active installations till date. This plugin makes your website faster for Mobile visitors. Currently, new features are added to this plugin like 3 Pre-built AMP Layouts for Business websites and landing pages, default theme for AMP called Swift, 9 Advertisement sizes and much more. AMP for WP is compatible with Alexa Metrics which monitors your website’s performance and count 100% of real traffic. It allows you to overwrite your content in Post or page, so you can add the different content just for AMP. AMP for WP is the open source software that can easily be downloaded from official WordPress website. After adding this plugin, your content will become mobile-optimized that can load instantly everywhere. When this plugin is active, all the posts on your WordPress website will have dynamically generated AMP-compatible versions. AMP for WordPress has very limited functionality. Still, it is good for AMPs. 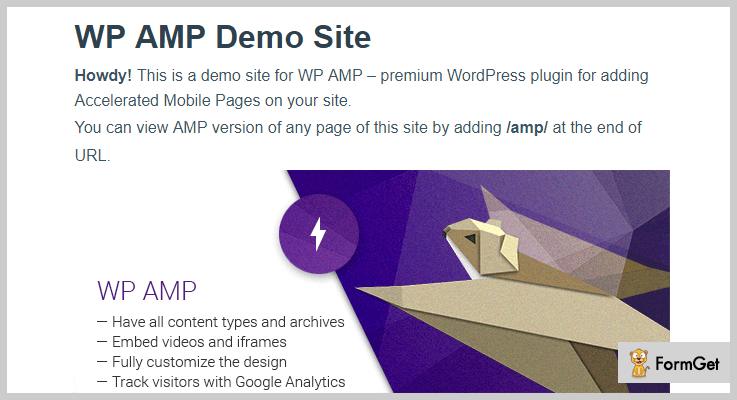 AMP for WordPress is easily be downloaded from official WordPress website. I hope this listing of will help you stay ahead of the curve! Choose the best suitable plugin and redesign your WordPress website ASAP. Feel free to comment below for any queries, recommendations and other business tools.